Goals vs Desire – Which One Comes From God? It’s easy to see why some people might just get confused and/or frustrated. I think that all of these approaches work if you believe they will (depending on your level of consciousness and to some degree, your destiny). For me, GOALS often show up as “things I think I should want or should have” based on influences of the world around me. These things will not necessarily make me happy or bring me fulfillment. Otherwise, all rich people would be insanely happy and satisfied. Research shows that lottery winners are no happier one year after they have won than before they got the money, and that someone making $10 million a year is no happier than someone earning $50, 000 a year. And yet, when it comes to writing out goals I’ll bet 99% of us have making more money as a top goal. 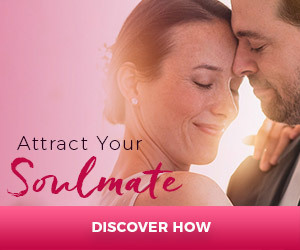 When it comes to manifesting a soulmate, I do believe it’s important to have clarity around the heart traits and qualities you most DESIRE in a partner along with a general idea of what your lifestyle will be like (the city you where live, the types of activities you participate in together). Building your desires is heart centered and important in your soulmate attraction plan. I also believe that if you try to completely design every last detail about your soulmate, you are setting yourself up for extreme limitation and you aren’t allowing the Universe to bring you someone who can make you happier than you can even imagine. 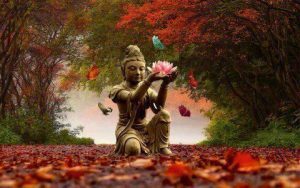 I’ve learned that some days are more auspicious than others for attracting our heart’s desires. Fourteen years ago when I was actively manifesting my soulmate, Brian, I created a specific fire ceremony to release my “soulmate wish list” and I purposely did it on a Friday when there was also a New Moon. I love Friday’s because that day belongs to Venus, Goddess of love and beauty. And, I love a New Moon because it’s the best time of the lunar cycle to begin all things “new.” There is a powerful New Moon in Cancer on Friday, July 1st, 2011, and it comes [during?] a Solar Eclipse. On this special New Moon night, I will be leading a special fire ceremony during my Soulmate Secret workshop at Omega as part of my weekend workshop, (for more info Click Here! ) that is designed to bring forth healing as well as calling in the energies for manifesting a life-long partner. If you have a safe place to make a small fire where you live (with a BBQ grill, a fire pit or some safe container) then you can follow this format and create your own New Moon ritual! Imagine your intentions included with all those at Omega event in a powerful vortex of Big Love Attraction. I hope you will join us. You can do this ceremony by yourself but you will have more fun if you create a mini event yourself. Invite a few friends over and form a circle around the fire. One by one call in support from the Divine, God, Goddess, Source, Spirit, the Universe, the Archangels, Guardian Angels, etc. The Fire Ceremony is done in three rounds. Round 1: Begin by making a sacred offering to Mother Earth and to the higher power. This can be as simple as offering some sage to the fire, or some of the food that you ate for dinner that night. Each participant will say a silent prayer of gratitude for all the things they are most grateful and appreciative of in that moment. Round Two: The focus in on your prayer for your hearts to be healed of anything that stands in the way of manifesting your soulmate. Write this on a small, clean piece of paper and offer it to the fire. The prayer request will burn, turn to smoke and release into the ethers. This allows the energy of the past to move along to its highest spiritual progression path as we bring in the healing energies. Round 3: Now is the time for the prayer for “new” love (or if you are already with your soulmate you can use this ceremony to create a new career or new results in some area of life). On a clean sheet of paper write down your desire and then offer it to the fire, knowing, feeling and trusting that the result you have asked for is already yours.